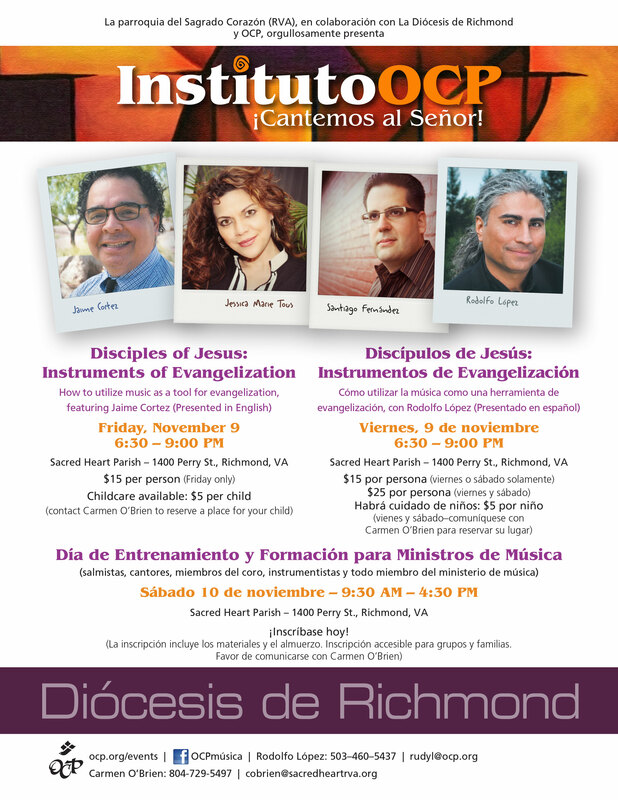 Roman Catholic Diocese of Richmond and Sacred Heart Parish in collaboration with OCP, proudly presents a day of training and formation for all liturgical music ministers (for cantors, choristers, instrumentalists and all who are part of music ministry). Featuring Jaime Cortez, Jessica Marie Tous, Santiago Fernández and Rodolfo López. Disciples of Jesus: Instruments of Evangelization - How to utilize music as a tool for evangelization.